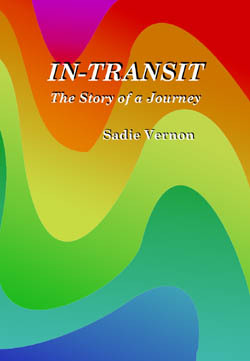 IN-TRANSIT: The Story of a Journey is the autobiography of Sadie Vernon, which is edited by Judy Lumb and published by The Angelus Press - 206 pages (2000). When those copies were gone, IN-TRANSIT:The Story of a Journey was republished on-demand by Producciones de la Hamaca in 2019. It is available on Amazon. Because Ms. Sadie Vernon is no longer with us to approve any changes, no changes have been made in the text. Some of the photos are no longer available, so some different photos were substituted. "Knowing Sadie Vernon and helping to publish her story has been one of the great joys of my life. 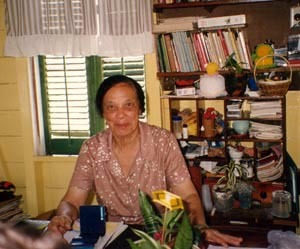 Before I moved to Belize in June of 1987, I had heard of Sadie Vernon's work in Belize from a Friends publication. I had intended to look her up, but forgot until I heard on the news that she had been made a Commander of the British Empire. I wrote her a letter and we soon met. From the time I met Miss Sadie I was in awe of her presence and her position in the community. She invited me to come to the Friday morning worship service for the Continuation School. I attended, but I slipped out quietly at the end, not wanting to be a bother. The next time I saw Miss Sadie, she chided me for disappearing and said I should have stayed to chat with her. From then on, I made it a point to visit her whenever I was in Belize City. I always felt like she could see right through to the heart of me. Reflecting later upon those conversations I often found little jewels, profound wisdom that addressed some issue in my life I had not even mentioned. "I was really honoured when she asked me to help publish her autobiography. It is a story of great courage, faith, compassion, and spiritual depth. She tells of her happy childhood in Belize City, her sorrow at the loss of her mother, her adjustment to life in Jamaica, her teaching successes, her nursing experiences in the United States, her ecumenical work with the Belize Council of Churches, and her unusual visions and dreams. Before she gets a vision, Miss Sadie tells us that she first sees swirling colours, which are reflected in the painting on the cover of this book and the graphic at the beginning of each chapter. "Working with her words has been a very fulfilling experience. When she writes of an experience, she does not reflect upon it from the present, but puts herself there, in that time and place. She uses the vocabulary of that time and prefers the King James translation of the Bible, the Bible of her childhood. "When Miss Sadie was growing up, the country that is now Belize was British Honduras and the city was referred to as Belize. She introduced herself as being from Belize, British Honduras. In the late 1970s the name of the country was changed to Belize and the city became Belize City. The word "Belize" is used in two ways in this book, in the early years to mean Belize City, and in the later years to mean the country of Belize. "One aspect of Miss Sadie's style of writing may be difficult for some readers. In describing her experiences with race relations in the United States in the 1950s, Miss Sadie uses the word "coloured" to refer to herself and to those who are now called "African-Americans." It was the terminology used at that time and has been maintained here to be consistent with her style of writing. For the same reason, some language is used that would now be considered sexist. To change her words to reflect current vocabulary seemed artificial and, as her editor and with her concurrence, I chose not to violate the integrity of her writing.